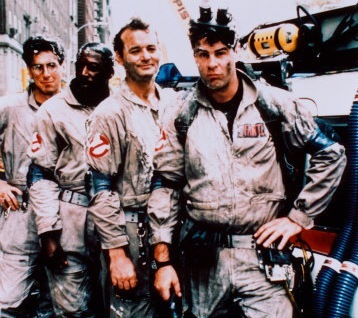 GHOSTBUSTERS BACK IN THEATRES THURSDAY NIGHTS IN OCTOBER! That's right, friends. In celebration of it's original release, Ghostbusters will be showing in over 500 theaters across the country on Thursdays in October! You may have already missed your chance on October 13, but you still have an opportunity to view Ghostbusters tonight, October 20 and next Thursday, October 27. Here are local theaters participating. Google search "Ghostbusters" to find a participating theatre near you. Don't miss out! Treat yourself. And treat your kids to the awesomeness of the 80's! You deserve it. And PLEASE: share your favorite Ghostbuster quotes in the comments below. It will make all our days more happy and bright.